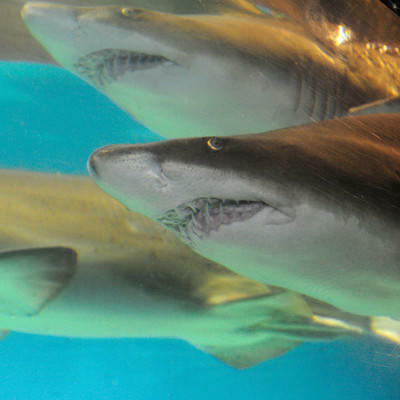 Sand tiger sharks often swim with their mouths open, exposing their many, many sharp teeth. Don't fret, though. They aren't considered a danger to people.